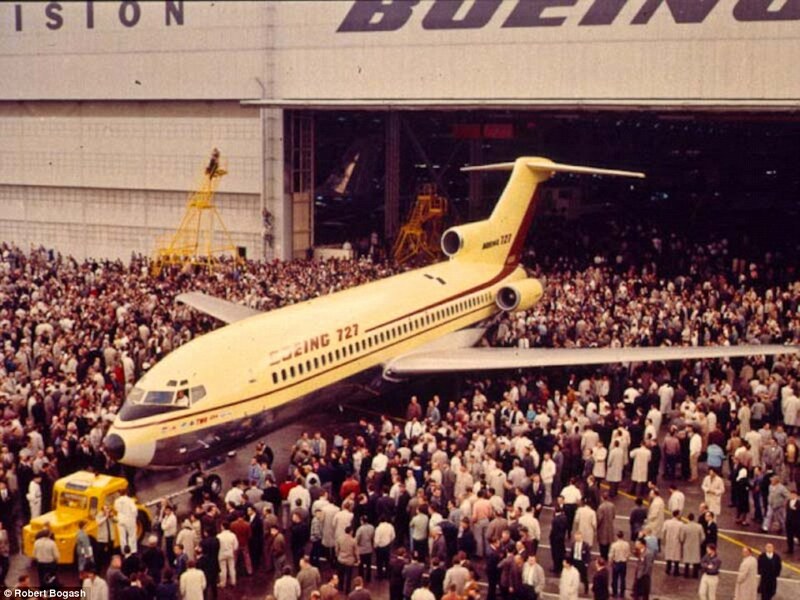 [Daily Mail] The first ever Boeing 727, first revealed to the public in 1962, is set to fly again after sitting in a museum for the last 25 years. 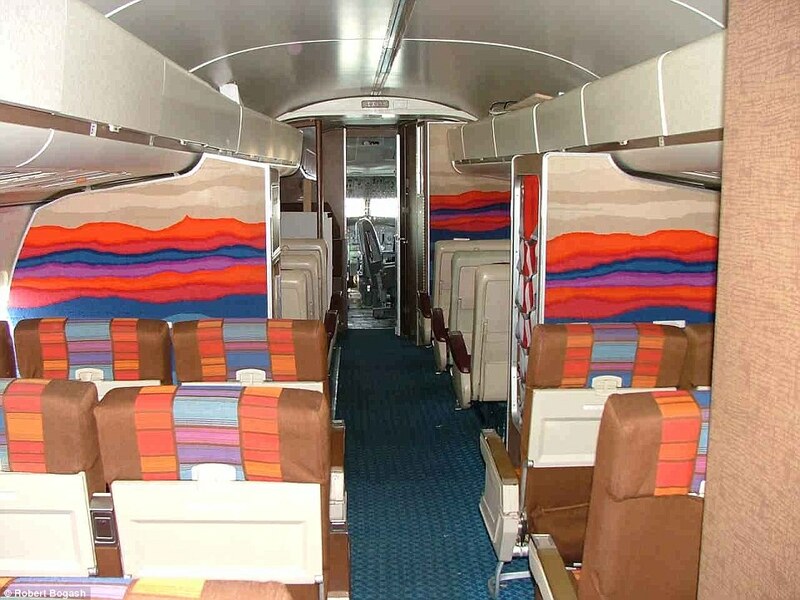 A team of volunteers with a keen interest in aviation, and the skills to make a difference, have spent weeks restoring the United Airlines jetliner to its former glory. The plane was donated by United Airlines back in 1991 to the Museum of Flight’s Restoration Center at Paine Field, where it has been sat ever since. The restoration of the iconic jet has been documented by aviation enthusiast and keen photographer Robert Bogash on his blog. ‘We are waking up an airplane that first flew 53 years ago, and that has been “sleeping” for the past 25 years,’ writes Mr Bogash. ‘But – especially for me – I began my affair with her 32 years ago – she is still an airplane that has the magic of flight embedded in her genes, and we intend to let her experience that magic one more time. And we will savour the……. Read the full story at the MailOnline…..
[Star Alliance – Press Release] US Airways and American Airlines have announced that the boards of directors of both companies have unanimously approved a merger agreement. Operating under the American Airlines name, the combined airline will offer benefits to both airlines’ customers, communities, employees, investors, and creditors. If the merger gains regulatory approval, US Airways will leave Star Alliance and the merged company will be a member of the oneworld alliance, of which American is a founding member. Until then, US Airways customers will continue to benefit from Star Alliance’s extensive route network. Until the merger is complete, American Airlines and US Airways will operate independently, and US remains a full member of Star Alliance. The results of regulatory review are not expected until some time in the third quarter. Star Alliance headquarters will be working with US in the interim to ensure a smooth transition for both US Airways customers and those of other Star Alliance members if the merger goes ahead as expected. Doug Parker will serve as CEO of the merged airline and a member of the Board of Directors. Parker will assume the additional position of Chairman of the Board. The combined airline will offer more than 6,700 daily flights to 336 destinations in 56 countries. The combined airline is expected to maintain all hubs currently served by American Airlines and US Airways. 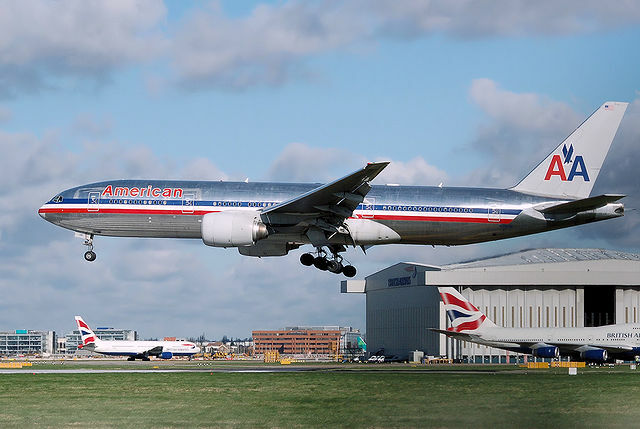 Both airlines expect that the regional carriers they own – AMR Corporation’s American Eagle and US Airways’ Piedmont and PSA – will continue to operate as distinct entities. The company will be headquartered in Dallas-Fort Worth and will maintain a significant corporate and operational presence in Phoenix. The combined airline is planning to take delivery of more than 600 new aircraft, including 517 narrowbody aircraft and 90 widebody international aircraft, most of which will be equipped with advanced in-seat inflight entertainment systems offering thousands of hours of programming, inflight Wi-Fi offering connectivity throughout the world, and “Main Cabin Extra” seating with 4-6 inches of additional legroom in the Main Cabin. The combined carrier’s fleet will also feature fully lie-flat, all-aisle access premium seating on American’s new Boeing 777-300ER aircraft and Airbus 321 Transcontinental deliveries slated for later this year. Similar to US Airways’ Airbus A330 international Envoy service, American will also retrofit existing 777-200 and 767-300 aircraft to include fully lie-flat premium seating in an effort to provide a consistent experience for customers flying on the combined carrier. Customers can continue to book travel and track and manage flights and frequent flyer activity through AA.com or USAirways.com, and will continue to enjoy all benefits and rewards of the AAdvantage and Dividend Miles frequent flyer programmes. At this time, there are no changes to the frequent flyer programmes of either airline as a result of the merger agreement. All miles in both programmes will continue to be honoured. Upon merger approval, additional information will be provided to customers on any future programme updates, including account consolidation or benefit alignment. Employees of the combined airline will benefit from being part of a company with a more competitive and stable financial foundation, which will create greater opportunities over the long term. Each carrier’s employees will receive reciprocal travel privileges as quickly as possible. The merger will also provide the path to improved compensation and benefits for employees. The merger is conditioned on the approval by the U.S. Bankruptcy Court for the Southern District of New York, regulatory approvals, approval by US Airways shareholders, other customary closing conditions, and confirmation and consummation of the Plan. The combination is expected to be completed in the third quarter of 2013. Read the original press release…..
[NPR] Right at this moment, more than two-thirds of all airport construction in the world is happening in China. The total number of airports in China will be 244 airports by 2020. . This means that by then, 82% of Chinese people will live within 100 kilometers of an airport. The country is in the first full year of a five-year plan to eventually make China the center of global aviation, and the Chinese government is pumping a quarter-trillion dollars into the project. The new plan is hugely ambitious and not at all certain to succeed, he tells NPR’s Guy Raz, but it’s a window into whether China’s overall economic strategy is actually the model for the 21st century or a cautionary tale. He says China’s leaders feel that if the country is ever to attain real prosperity, it needs to succeed in areas like pharmaceuticals, information technology and aerospace. “And that’s what this next push is all about,” he says. Fallows adds that the new……. [VietnamNet] Vietnamese Prime Minister Nguyen Tan Dung has approved a new aviation transport pact already signed by officials of Vietnam and the United Kingdom to enhance air transport ties between the two countries as well as investment and cooperation relations. Foreign Affairs has been told to prepare final procedures for the pact. The Civil Aviation Administration of Vietnam (CAAV) said that the new agreement did not set the valid period but it would become invalid one year after either side had a written announcement for its decision to halt the pact. The UK and Vietnam signed the new aviation agreement on December 8 last year, one day before Vietnam Airlines commenced its direct service to London. The flight inaugural ceremony in London was also joined by Vietnam’s Transport Minister Dinh La Thang, who represented Vietnam to sign the new aviation accord. The air link is part of the projects outlined in the Vietnam-UK 2011 Action Plan, whose aim was to identify opportunities for bilateral cooperation after the two countries signed the Strategic Partnership Declaration in September 2010. The plan also comprised of initiatives on political and diplomatic cooperation, trade and investment, education, training, science and technology, security and defense. Currently, Vietnam Airlines operates its Boeing B777 aircraft for four weekly non-stop flights between Vietnam and Gatwick Airport, some 46 kilometers south of Central London. The national flag carrier also plans to service seven times a week from Hanoi and HCMC to London by 2015. Vietnam Airlines said nearly 200,000 British people visited Vietnam and other nations in Indochina every year, and that it was expanding its network in this potential region and building connections with other regions. The number of British travelers to Vietnam grew strongly right after Vietnam Airlines launched the direct service. According to the General Statistics Office, British arrivals in Vietnam rose from nearly 15,500 in December last year to more than 17,860 in January this year. The first month of 2012 saw the UK in Vietnam’s list of top ten visitor-generating markets after China, South Korea, the United States, Japan, Taiwan, Australia, Cambodia, France and Malaysia. Besides London, Vietnam Airlines flies direct to European airports in Frankfurt, Paris and Moscow. The Prime Minister signed Decision 480/QD-TTg endorsing the agreement on Tuesday, less than five months after officials of the two countries clinched it in London in December last year. The Ministry of Foreign Affairs has been told to prepare final procedures for the pact. The highlights of the new agreement mark a significant increase in flight frequency between Vietnam and the UK. Transport officials of two countries have agreed to bring the number of weekly services between the two countries to 14 from only three flights a week in their first aviation agreement clinched in 1994 and revised in 1999. Read the original story at VietnamNet…..
[Reuters] Delta Air Lines Inc will buy a Pennsylvania oil refinery from ConocoPhillips for US$150-million, an audacious bid to save money on fuel costs by investing in a sector shunned by many of the biggest oil firms. Atlanta-based Delta said the first ever purchase of a refinery by an airline would allow it to cut US$300-million annually from jet fuel costs, which reached US$12-billion last year. It said production at the refinery along with other agreements to exchange refined products for jet fuel would provide 80% of its fuel needs in the United States. The deal for the idled 185,000 barrel per day Trainer, Pa., refinery, which has puzzled analysts since it first surfaced last month, will come as some relief to politicians and officials, who had feared thousands of lost jobs and a potential summer spike in fuel costs if the plant was shut permanently. And while the initial investment is no more than a wide-body jet liner, even including an additional $100 million to upgrade the plant to maximise jet fuel production, it will put Delta in the unique position of hoping that the recent rebound in refinery profit margins — normally an indication of added costs for a fuel consumer — doesn’t prove too fleeting. While Delta will remain hostage to fluctuating crude oil costs, the facility would enable it to save on the cost of refining a barrel of jet fuel…. Read the full Reuters story at Energy…..